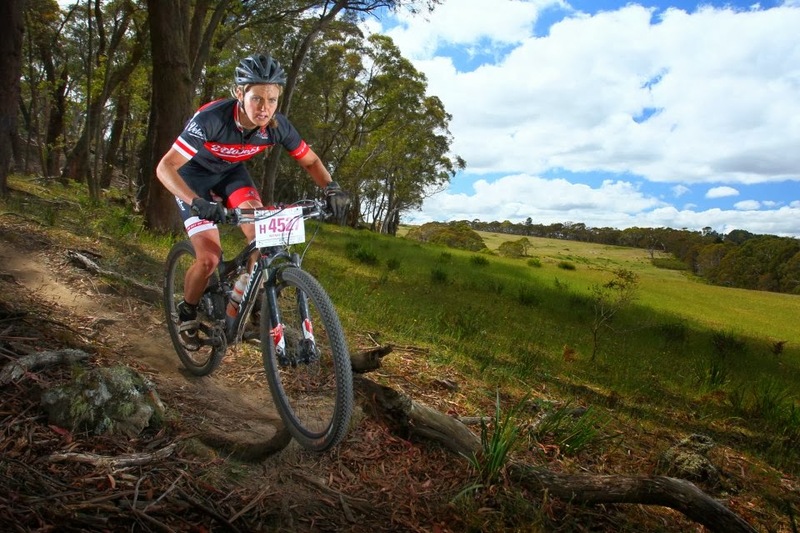 Only 3 weeks to go before heading to Sri Lanka for the 5 day MTB stage race, the Rumble in the Jungle. 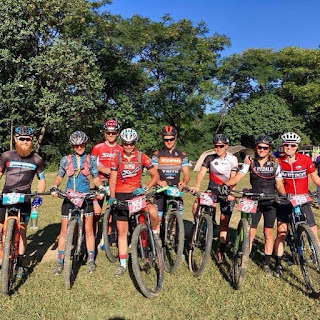 I still have to pinch myself when I think about this opportunity given to me by the race organiser Phil Evans from MTB World Wide, together with the support of Sri Lanka Airlines. To make this dream even better, one of my dearest friends Karin Sloove will be joining me for a trip of a life time and the lovely Karen Hill who made me smile during the toughest parts of the MTB Himalayas stage race will be there as well. 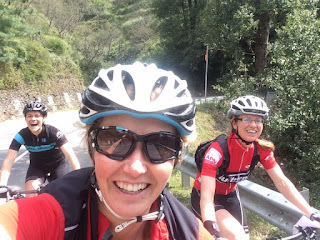 Other familiar faces in Mike Blewitt from MarathonMTB and Phil's better half Corrinne who kept me injury free during the MTB Himalayas makes this race feel like a little reunion of some of the awesomest people I have met in the sport so far. From day one in India it was all smiles with Karen Hill! 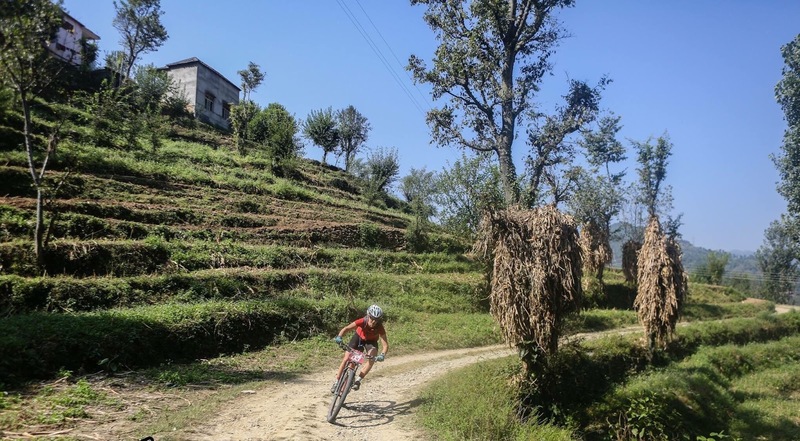 My preparation for the Rumble has been very different from my preparation for the MTB Himalayas stage race I did last year. For the Himalayas I was still injured and I ticked of my training slowly but gradually every week to gain the fitness I needed to complete the race. At the same time I had to let my back heal. It was a fine balancing act and standing on that start line last October was a massive win itself. In November I started strength and conditioning training together with James at Whatsyourmeta whilst physio Morgan keeping a close eye on things. By this stage I had been getting weekly physio sessions for 12 months with a no running policy. (I threw in the odd run myself for mental health reasons) I can honestly say without sounding hard on myself, that when I started strength training with James, I was pretty much hopeless. There was not much proprioception in my left leg. Anything I had to do using one leg and I would fall over. Simple things like pulling my left lack backwards, such as in a backwards lunge or stepping on a block with one leg and I had to really concentrate to make it happen. Wobbling from side to side. With my gluteals and hamstring muscles simply not engaging. Thanks to Morgan who would almost snap my legs off during physio (or at least it felt that way!) stretching my shortened hamstrings and pelvic flexors muscles, "flossing my sciatic nerve, and continuously working on mobility, proprioception and balance with James; slowly but surely things started to progress in the right direction. 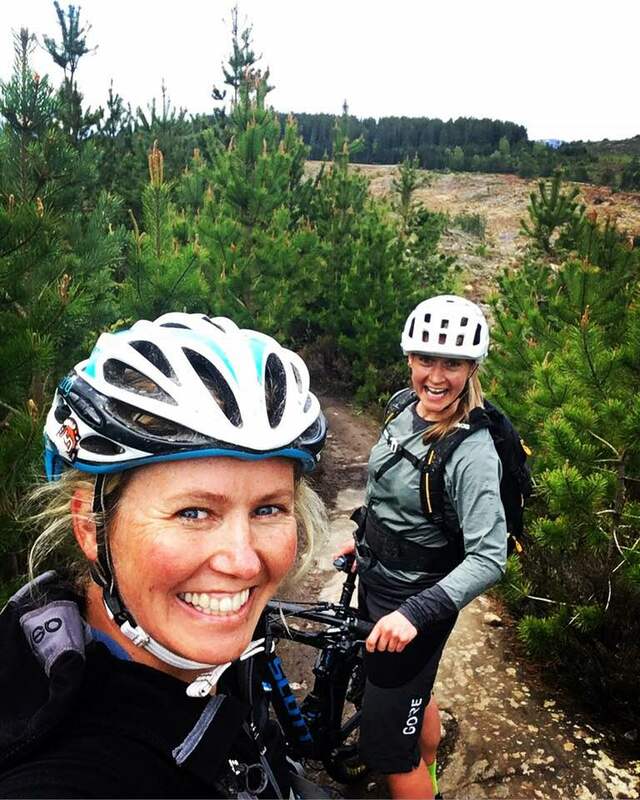 The one and only Karin Sloove, who I can always count on to say yes to my crazy adventures! My training for the Rumble in the Jungle has not really been about getting fit enough to do the race but it has been about being a happy athlete again. Getting the confidence in my body that I can do this, instead of hoping it will be ok. Therefore we have been training in the here and now rather than working towards the second week of June. One of the high lights of my sessions with James wasn't an increase of power on the bike but it was being able to do the box jump during my strength sessions. Something I mentally really struggled with but after a month of really putting the hard work in, I managed to nail it! Finally feeling like there was still an athlete somewhere left in me after all. In the same token James pushed me to line up some races, to pin up a number for the sake of pinning up a number and go out and race. No expectations, no pressure, just go out and do it without reading into my results too much. Getting used to racing again. Two weeks ago an email came through with participants event details for the Glen Affric offroad duathlon, I had completely forgotten I had entered this!! 7.5 miles run, 18 miles MTB and a 2.5 miles run, all offroad. 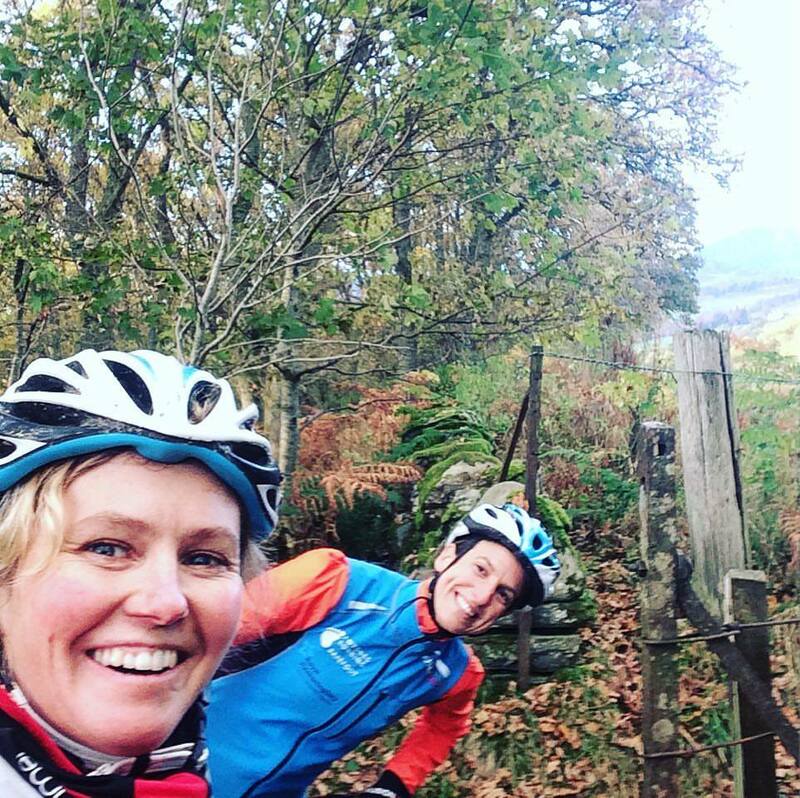 I immediately added it to my racing calendar, which had been pretty busy already with the Dumferline Women's road race, the Dirty Reiver Gravel race and the Selkirk MTB Marathon all within a time span of 4 weeks. But this one I really wanted to do. Although I had absolutely no running fitness or speed for that matter, I was running pain free for the first time in 2 years. And I could actually use both of my legs again!! So other than being slow I felt like I had no excuse not do it. I remembered vaguely that the lovely Cat Sutherland had mentioned she entered it as well so I immediately send her a message to see if we could catch up. She was in a similar situation having been injured and not really fit so we found ourselves giggling on the start line. Off we went at what I thought was a very easy pace for a race and for the first time in a long long long time I backed myself and followed Cat to the pointy end of the field, thinking "I can do this" A cool story would have been that I was as fast as the wind and smashed the field for an impressive post injury win. But that did not happen! I have never seen myself as a natural athlete. I am not saying I can't be fast but I have to run a lot and I have to do a lot of speed work in order to be fast. Half way up the first MASSIVE hill and I was going backwards in the field as fast as I had been going forward in it at the start. "I will make it up on the bike" I thought positively but once on the bike, my legs had forgotten how to cycle after running. It was a proper and utter suffer fest, I was feeling every single muscle in my body and I had forgotten how fit you have to be for these races in order to be fast. The final run was an out and back and I was so happy to run into Cat's smiling face saying it was not long to go and it was pretty!! I laughed, my god this was brutal, but brutal in a way I had not been able to feel for such a long time. And although I was worried about some of the niggles I started to feel in my back and hamstrings, I also knew that going from a 6km run every now and then to a total of 17km at full on race pace it was a given I would be sore. Cat (who had a smashing race) was waiting for me at the finish line and we spend the rest of the day laughing about how hard it was and chatting in the sunshine about up and coming events and adventures. 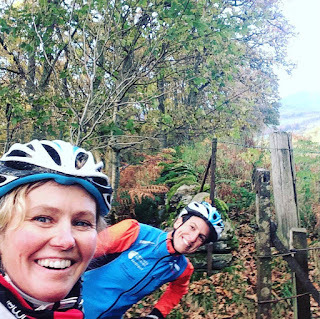 The weekend ended in style with lots of smiles riding some awesome trails near Straphpeffer with Cat and her partner Donald. It was such a great weekend with so many positives to take away from it. 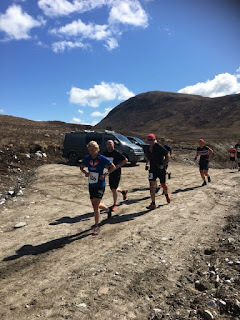 Even though I finished a long way from the front, I had the confidence to try and go with them at the start trusting my body, something which injury had robbed me from. The fact that I could suffer so much again pushing my heart rate the highest it had been for over 3 years. All which made me very happy. 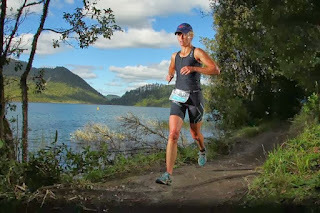 I have been struggling re-inventing myself as an athlete, not really knowing what it was I wanted. Other than that I wanted to be fast again. Not to climb on podiums or win races, just to have that feeling of being fit and fast. For me. I have been forced to stay on the bike due to injury but the duathlon created such and excitement in me which I had missed so much. My heart was in multi sport races, my strength was in multisport races because being able to run and ride and do lots of other crazy disciplines through incredible beautiful terrain, made me the happiest. Happy athletes are fast athletes. For the next 3 weeks leading into my trip to Sri Lanka I will work on some endurance and do some long rides to add to my fitness, but mainly I will keep on working on my confidence to keep my head as positive as it has been this weekend. 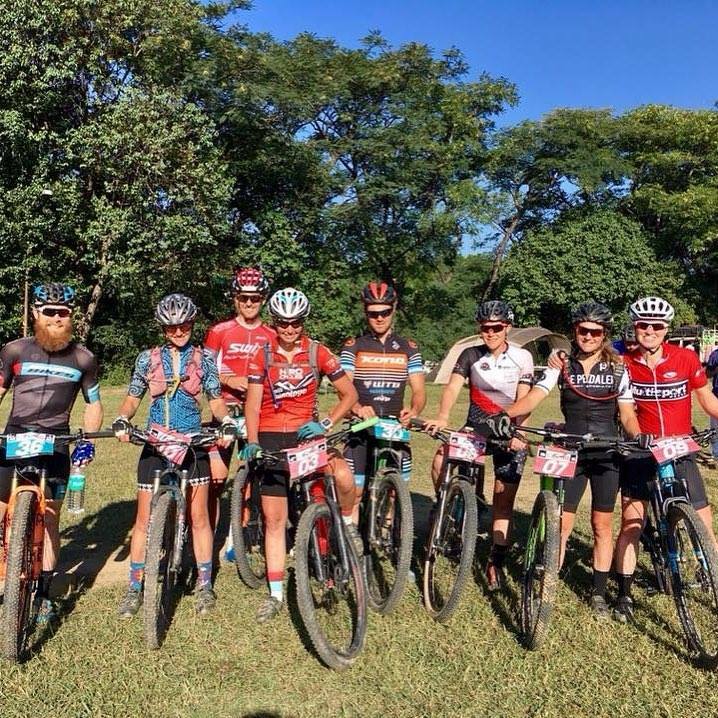 With so many cool inspiring people on the start line of the Rumble in the Jungle and organisers who know how to turn an event into something truly special, I have no doubt it will be one of those once in a life time experiences! "Beautiful things happen when you distance yourself from negativity"